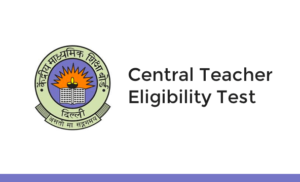 The CBSE (Central Board of Secondary Education) has officially released the information regarding the CTET (Central Teacher Eligibility Test) 2019 exam. The CTET 2019 will happen on July 7, 2019. The online application processing will start from today. For its primary stage, all candidates must pass the senior secondary exam or something that is equivalent to it, and a 2-year diploma course in Elementary Education. For the elementary stage, all candidates should pass graduation or something that is relevant with a two-year diploma in elementary education. All candidates are requested to take a look at the official brochure that consists the information for its qualification criteria. First of all, you need to log on to CTET’s official website which is www.ctet.nic.in. Fill in the application form and note down its Application number and Registration number. Pay the examination fee by using a credit card or debit card and by e-challan.